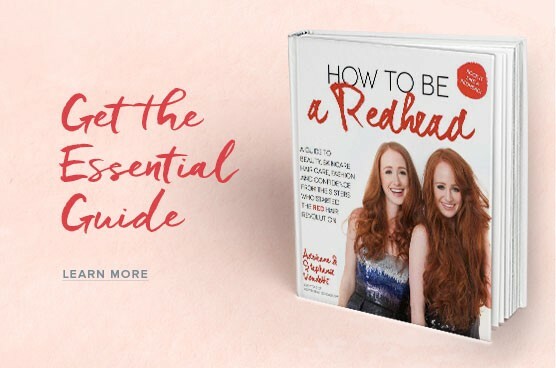 Each year, we round up our favorite ‘redhead friendly‘ color depositing shampoos and conditioners for redheads. This particular year we tested and approved a handful of products, and even included some in our redhead subscription box, the H2BAR Box. Color depositing shampoos and conditioners naturally deposit color in red hair. 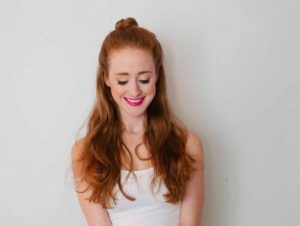 If you’re a natural redhead, add this to your beauty routine a few times a week, and if you’re a redhead ‘by choice’, use this regularly to lengthen time in-between trips to the salon. Plus, you won’t have to worry about your scalp being dyed red (yes, unfortunately, it can happen with some shampoos) and your hair will look vibrant in a subtle, natural way. 1. Chemically-treated hair will take a color depositing product more intensely. Consult your stylist or colorist before using. 2. Color depositing shampoo and conditioners do not work for blonde or grey shades of hair. 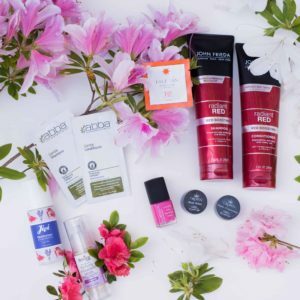 Warning: If you have blonde highlights in your red hair, using these products will turn them pink. 3. The product may stain so use a dark towel (or t-shirt) while drying your hair. 4. Always rinse your hair after conditioning with cool water. This will help close the cuticle and seal in moisture. 5. If you’re nervous to take the color depositing plunge, we recommend adding a few drops to your currently used shampoo and conditioner. This is a great way to ‘up’ your red a tiny bit. 6. We advise conducting a strand test before using one of these products below. For best results, later on a color depositing shampoo. Rinse. Apply and lather a color depositing conditioner. Rinse with cool water. 1. 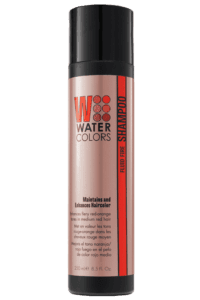 Tressa Color Maintenance Watercolors Shampoo – Fluid: This product has been around for years and if the packaging doesn’t look familiar, it has been re-branded. We featured it in our 2015 lineup, and had to include it again…we’re that in love. It’s made for those who want bright, passionate, fiery red-orange tones. 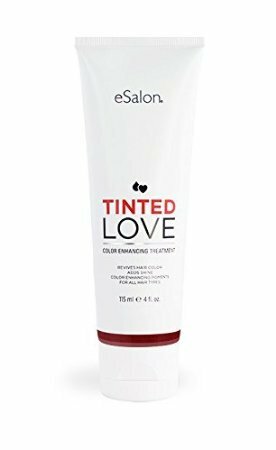 2. eSalon Tinted Love Color Enhancing Treatment: eSalon is the only at home custom hair color on the market. 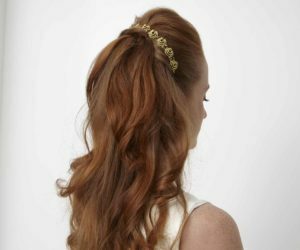 It was inspired by the idea that high-quality, beautiful hair color can be achievable without the one-size-fits-all approach of boxed color or excessive expense of salons. This particular product temporarily intensifies, enhances or neutralizes hair color. 3. Davines Alchemic Shampoo in ‘Red’: Another oldie but goodie, and for a good reason. This product, made in Italy, is a true luxury and makes red hair pop with 1-2 shampoos. Also available in Cooper. 4. 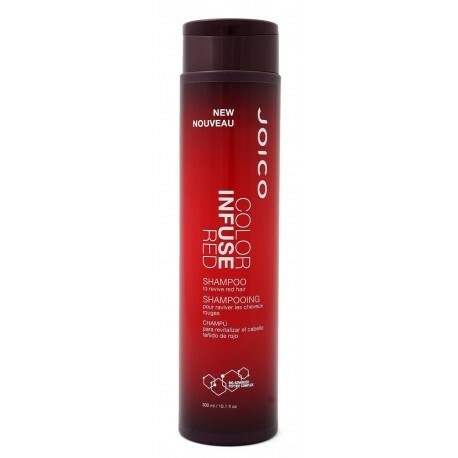 Joico Color Infuse Red Shampoo: Joico’s Color Infuse Red gentle cleansing, color-depositing shampoo instantly refreshes the vibrancy and luminosity of red tones to help prevent fading. 5. 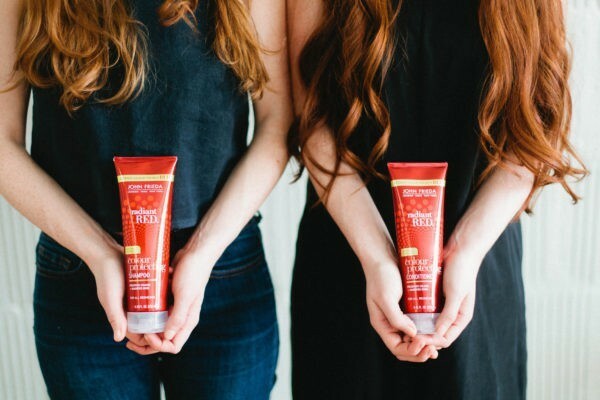 John Frieda Radiant Red Color Magnifying Daily Shampoo & Conditioner: If you’re an H2BAR Box subscriber, this gentle formula duo looks very familiar. We included it in our February 2016 H2BAR Box [And it was in a April 2018 box too!] 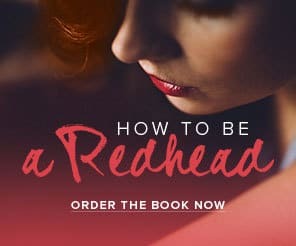 ..and heard rave reviews on how it magnifies the color and shine of your red hair. 6. 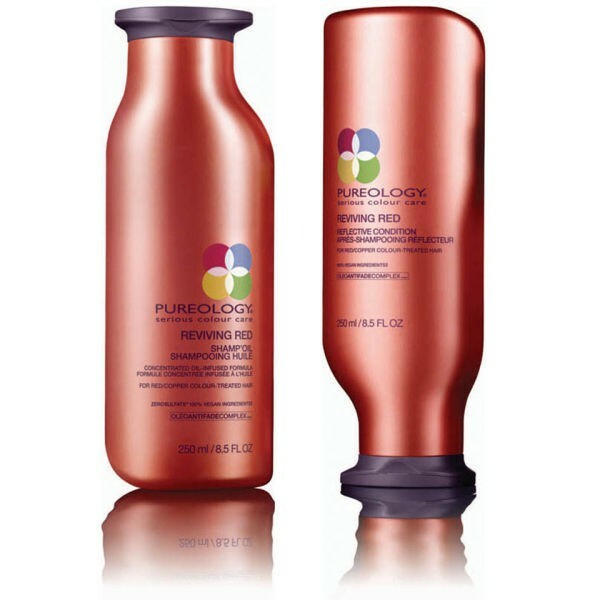 Pureology Reviving Red Shampoo and Conditioner: This line by L’Oreal was made for us redheads. It consists of a shampoo, conditioner and an illuminating caring oil. 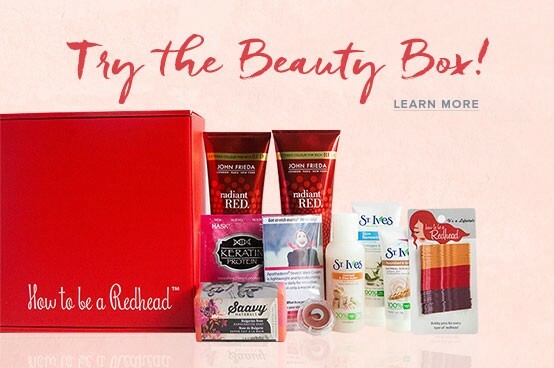 All products contain a ZeroSulfate, oil-infused formula to make your red hair more vibrant. 7. 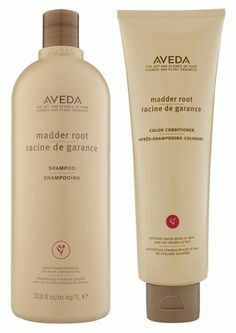 Aveda Madder Root Color Shampoo & Conditioner: This duo enriches warm tones in dark and red shades of hair. 8. 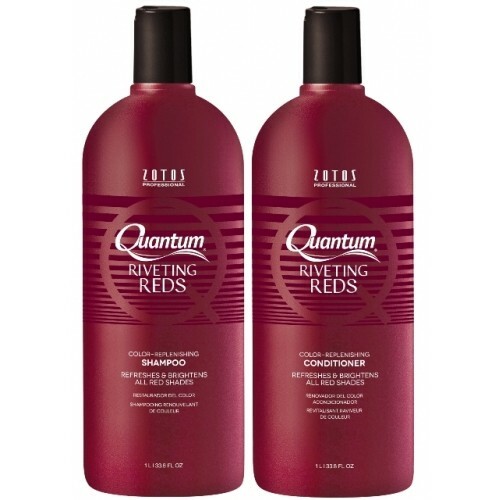 Quantum Riveting Reds Color-Replenishing Shampoo & Conditioner: We included Quantum’s full-size shampoo in our May 2016 H2BAR Box. 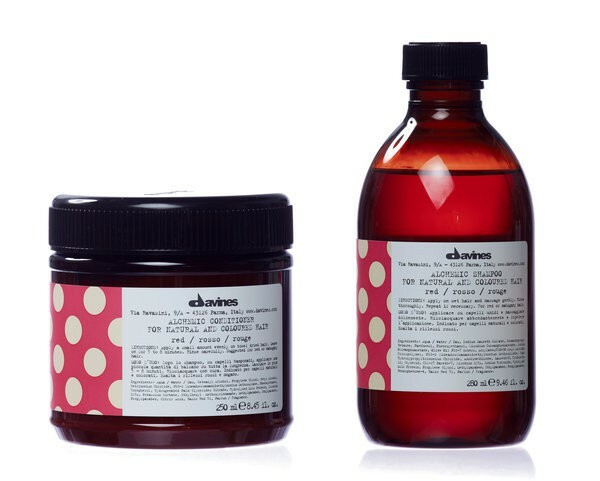 This power duo restores the vibrancy of red colored hair at an affordable cost. Red Hot Tip: Cranberry juice makes for a great natural hair enhancer. Warm the juice and saturate your hair with it, then throw a plastic bag over your hair and let your body heat do its thing for a few hours. When you’re ready, rinse and condition.